“Braveheart” meets “300” set in ancient Israel. 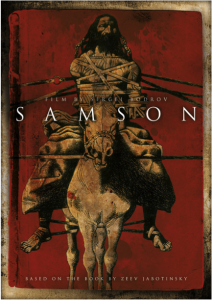 LOGLINE: The story about Samson comes from the bibles book of judges. Samson, the world’s first super hero, is a man who has to adventures it all to save his tribe from sure demise – possessing almost supernatural powers he surpasses all those who surround him in terms of strength and wisdom whilst being a joyful and witty youngster affected by human frailties at the same time. BASED ON: The Book of Judges (13-16) tells us of the heroic life of Samson, one of the most famous characters of the Old Testament. He was a wise judge, a fierce fighter and a brave defender of his people. Vladimir Ze’ev Zabotinsky in 1927 wrote a brilliant book titled «Samson the Nazarite». 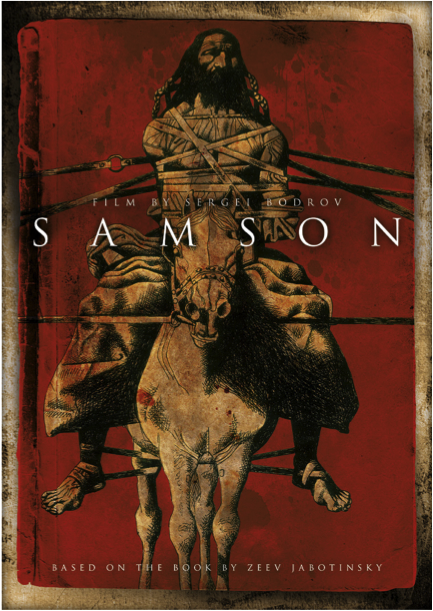 In his unique interpretation of the biblical story, he empowers Samson with supernatural strength, yet at the same time he never loses sight of Samson the man. This story rages with the scope and drama of a major cinematic event.